Hello Vinayak Vedpathak . 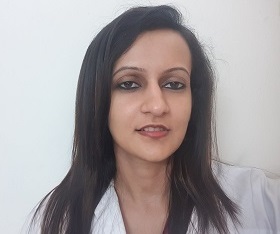 Dr. Aditi Dhanta who is our best specialist for treating ⭐ITCHING & RASHES related issues⭐ will take up your case. Good Evening Vinayak Vedpathak! I am here to help you, please tell me more about your problem. Vinayak Vedpathak, I am calling you now. Please pickup. Not to worry Vinayak Vedpathak, take the medicines that I have prescribed. You will feel better. If you need any help, I am right here. how can take those medicines..? is there any way to lighten my lips? I tried all the natural treatment from YouTube! but it lightened little bit! but same again! and I don't even smoke! yet my lips are dark? can u suggest me wat to do ?